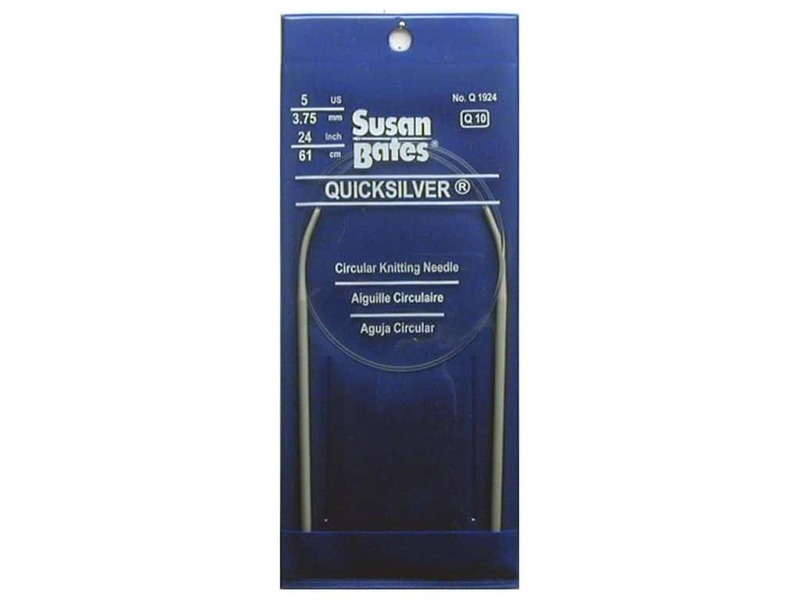 Description: Susan Bates Quicksilver Circular Knitting Needles are made of lightweight aluminum with an exceptionally smooth, glass-like finish. The knitting stitches slide effortlessly on and off making knitting easier and more enjoyable. Circular needles have two hard tips that are joined by a flexible cord. 24 inch long. Size 5 (3.75 mm). See more Susan Bates Quicksilver Circular Knitting Needles 24 in..